January brings us striking views of the night skies! You’ll be able to see well known constellations during the long hours of darkness in the Northern hemisphere, with crisp cold skies. This is an ideal time to get out and look at the wonders of the night sky as there is so much to see for the beginner and seasoned astronomer alike. 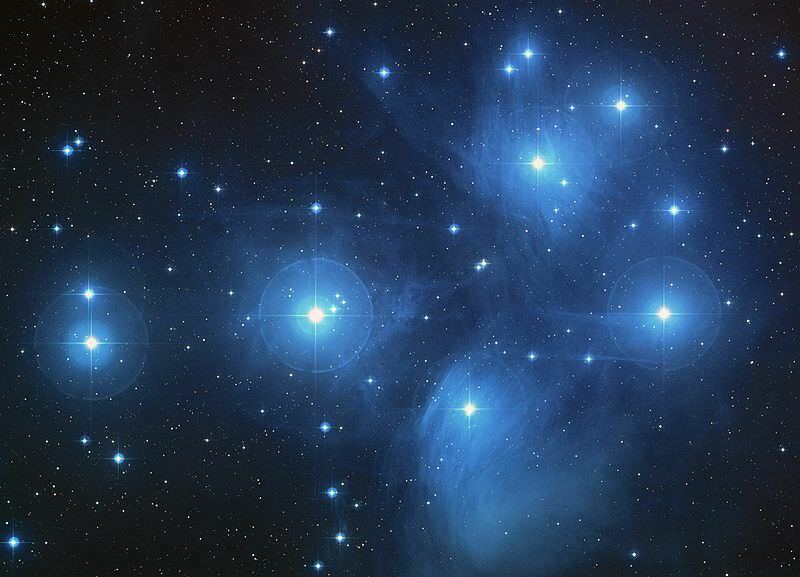 So what sights are there in the January night sky and when and where can we see them? As soon as the month starts we receive a welcome treat in the form of the Quadrantid meteor shower on the evening of the 3rd/ morning of the 4th of January. The Quadrantids can be quite an impressive shower with rates (ZHR) of up to 120 meteors per hour at the showers peak (under perfect conditions) and can sometimes produce rates of up to 200 meteors per hour. The peak is quite narrow lasting only a few hours, with activity either side of the peak being quite weak. Due to a waxing gibbous moon, the best time to look is after midnight and through the early hours when the moon sets in time for us to see the peak which is 07:20 UT. The radiant of the Quadrantids (where the meteors radiate from) is in the constellation of Boötes, however many people are mislead in thinking they need to look at the radiant to see the meteors – this is not true. Meteors will come from the radiant, but will appear anywhere in the whole sky at random. You can trace the shooting stars path back to the radiant to confirm if it is a meteor from the meteor shower. Mercury is low down in the southeast before sunrise in the first week of January. Venus will be shining brightly in the southwest until May and will pass within 1° of Neptune the furthest planet on the 12th and 13th of January. You can see this through binoculars or a small telescope. On the 26th Venus and the Moon can be seen together after sunset. On the 5th of January, Earth will be at “Perihelion” its closest point to the Sun. Mars brightens slightly to -0.5 during January and can be found in the tail of Leo; it can be easily spotted with the naked eye. The red Planet is close to the Moon on the night of the 13th/ 14th January. On January 2nd Jupiter and the Moon will be very close to each other with a separation of only 5° with Jupiter just below the Moon. Jupiter will continue to be one of the brightest objects in the sky this month. Saturn now lies in the constellation of Virgo and follows after just after Mars in Leo. Uranus is just barely visible to the naked eye in the constellation of Pisces and can be easily spotted in binoculars or small telescopes throughout the month. The Moon will pass very close to Uranus on the 27th and will be just 5.5° to the left of the planet. In January the most dominant and one of the best known constellations proudly sits in the south of the sky – Orion the hunter. Easily distinguishable as a torso of a man with a belt of three stars, a sword, club and shield, Orion acts as the centre piece of the surrounding winter constellations. Orion is viewed upside down in the Northern sky as seen from the Southern hemisphere. Orion contains some exciting objects and its most famous are the Great Nebula in Orion(M42), which makes up the sword and is easily seen in binoculars or a telescope and bright Betelgeuse, Orion’s bright alpha star (α Orionis). Betelgeuse is a red supergiant many times larger than our Sun; it would engulf everything in our solar system out to the orbit of Jupiter, if the two stars swapped places. Betelgeuse will eventually end its life in a Supernova explosion and some people believe that it may have already exploded and the light hasn’t reached us yet. It would make for a fantastic sight! If you draw an imaginary line through the three belt stars of Orion and keep going up and to the right, you will come to a bright orange coloured star – Aldebaran (α Tauri) in the constellation of Taurus. Taurus depicts a head of a bull with Aldebaran as its eye with a V shape that creates long horns starting from what we call the Hyades cluster, a V shaped open cluster of stars. If you continue to draw a line through the belt stars of Orion, through Aldebaran and keep going, you will eventually get to one of the gems in Taurus – The Pleiades cluster or Seven Sisters (M45) a stunning cluster of blue and extremely luminous stars and from our vantage point on Earth, the most recognisable cluster with the naked eye. A great object to scan with binoculars. A great object to hunt for with a small telescope is the Crab Nebula (M1) near the end of the lower horn of Taurus. If you go back to our imaginary line drawn through the belt stars of Orion and draw it in the other direction, to left and below, you will come to the very bright star Sirius (α CMa) – The Dog Star in Canis Major. Sirius is the brightest star in the sky and is only 8.6 light years away, it is the closest star visible to the naked eye after the Sun. Sirius along with Betelgeuse and Procyon (α CMi) in Canis Minor, form an asterism known as the Winter Triangle. Directly above Orion and the Winter Triangle are the constellations of Gemini (The Twins), with the two bright stars of Castor and Pollux marking their heads and Auriga the charioteer, with its bright alpha star Capella (α Aur). Auriga is host to M36, M37 and M38 which are globular clusters and easily seen through binoculars or small telescope and Gemini plays host to M35. Only a few of the objects available to see have been mentioned, so get yourself a good map, Planisphere or star atlas and see what other objects you can track down!